SHAH ALAM, Sept 29 (Bernama) — Over 200 entrepreneurship development activities will be held at all institutions of higher learning (IPT) nationwide throughout the ‘Student Entrepreneurship Month 2017′ programme next month. Deputy Higher Education Minister Datuk Dr Mary Yap Kain Ching said the programme themed ‘Ignite Your Entrepreneurship Passion’ was aimed at nurturing entrepreneurial mindset in the entire higher education ecosystem in Malaysia. “The Student Entrepreneurship Month is among the medium developed to provide exposure and encouragement to the students and IPT staff to venture into entrepreneurship. “The month of October was chosen as most public and private universities would be completing the new intake for 2017/2018 academic session,”she said at the launch of the programme at the Management and Science University (MSU) here today. Also present were MSU President Prof Tan Sri Dr Mohd Shukri Ab Yajid and Ministry of Higher Education’s (MOHE) Head of Entrepreneurship Unit Datin Dr Syahira Hamidon. Mary Yap said through the programme, the MOHE also aimed at changing the mindset of graduates from being job seekers to being job creators, while encouraging them to venture into entrepreneurship upon graduation. LABUAN, Sept 29 (Bernama) — The Ministry of Education (MOE) has assured vocational college graduates that they will have the opportunity to pursue tertiary education in institutes of higher learning (IPTs) nationwide. Its deputy minister, Datuk P. Kalamanathan urged students with diploma from their respective colleges to sit for the Accreditation of Prior Experiential Learning (APEL) with working experience or at least score Cumulative Grade Point Average (CGPA) of 3.67 and credit in Bahasa Melayu in the Sijil Pelajaran Malaysia (SPM) examination. “Parents of children studying at vocational colleges must not worry that their children will be left behind in the admission to IPTs, there is no issue about this,”he told a press conference after attending An Evening with Labuan Teachers at Labuan Matriculation College, here today. The Malaysian Qualification Agency (MQA) had issued statement early this year that vocational college graduates who received Malaysian Vocational Diploma (DVM) can pursue their education at IPTs immediately subject to passing the equivalent of SPM-Malaysian Vocational Certificate (SPM-SVM) set by the Malaysia Examination Board and others set by the MOE and Ministry of Higher Education. MQA said vocational college graduates still have the opportunity to pursue higher studies even though they began working early as the APEL certificate issued is a replacement for SPM and recognised by the Ministry of Higher Education. THERE are old questions that resurface when we talk about technology and innovation: Will new technology and innovation change the employment structure and the way we work? Will the latest technology result in unemployment and create growing inequality, the world is now witnessing? How does innovation and technology square with Malaysia’s political economy? Are we technology laggards? How can the state cope with technology and innovation? There are two effects of technology and innovation. The first is that new technology is disruptive; it replaces labour with capital. This means that new technology could see more people being unemployed or forced to seek new ways to gain employment. The second is that technology brings new capital into the economy. This will create new demand for goods and services and produce new jobs and business models. There are some of us who are less sanguine about the impact of technology and innovation on society. The pessimist among us think that the collapse of the old economy will create widespread unemployment. The mismatch of skills generated by new technology would produce new social, political and economic challenges. To be fair, these could be true. As it is, new technology and innovations are creating fewer jobs than jobs being displaced. Traditional jobs are now at risk because of technology. Technology has taken over some parts of the jobs carried out by lawyers, financial analysts, librarians and journalists. The commercialisation of 3D printing and advances in biotechnology could also mean that manual jobs would be threatened with obsolescence. The optimists among us, however, think that we are better off embracing technology given our dexterity to adapt even when innovation changes the way we work, live and play. History has proven that humans have managed to negotiate difficult turns in fortune and adapt to the harshest of environment. We have avoided the Malthusian trap because new technology has forced us to come up with new things and learn new skills. The optimists believe that new technology will release new ways of living, create new employment and produce more prosperous, informative and knowledgeable society. More recent phenomena give reason to be positive. Take the case of the agricultural sector in America. Agriculture used to take up 90 per cent of employment at the start of the 19th century. Now, the sector employs only two per cent of American workforce but without disruptions to its political economy. More recently, the late Steve Jobs released the ubiquitous iPhone that would prove to be a game changer. The iPhone changes radically how the economy is structured. In releasing the iPhone, Apple, provided a collaborative platform when it invited outside application developers to create applications for the iPhone. That triggered a deluge of applications that are friendly to both iPhone and Android phone users. So amazing was the growth of the global application economy that by 2015, the global application economy generated US$100 billion (RM420 billion) in revenue. Such development has generated a whole new economy — the geek economy. The Uberatisation and Grabisation have changed or disrupted transportation, logistic and services industries. Alibaba and Instagram have become convenient platforms for shared or collaborative economy. Blockchain and bitcoins are now the talk given their scalability. The huge development in technology has given new set of challenges to governments. The disruptiveness posed by technology are forcing states to find new ways of thinking to make sense of the changes and how best to facilitate, regulate and adapt to an increasingly geek economy. Is Malaysia ready for such so-called fourth industrial revolution? Two reasons to be optimistic. First, thanks to a growing economy, Malaysia is creating a new generation of Malaysians that breathe the Internet. We are seeing a new generation that is highly adept and dependent on the Internet, so much so that Malaysia is experiencing an increasingly geek economy. 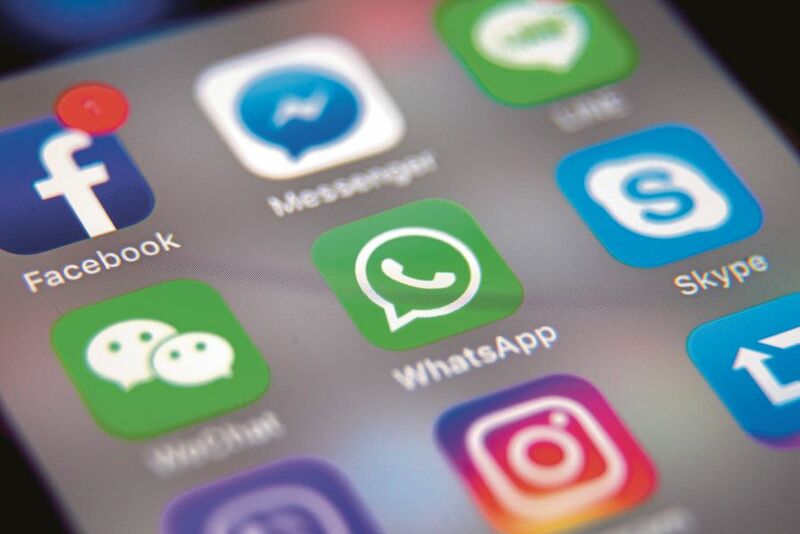 Malaysians are among the highest users of WhatsApp, Facebook and Instagram applications, where numerous transactions and employment are being generated. Grab has its roots in Malaysia. The recently launched Digital Free Trade Zone (DFTZ) could be an important collaborative or shared platform that should be harnessed to unearth new services and employment. Second, Malaysia’s open trading economy naturally ties it with the latest development in the global economy, inevitably making Malaysians natural adopters of the latest in globalisation trends. The growth of the past years and the openness of the economy have unintentionally geared up the young to be Internet ready and savvy. When viewed from a bigger scheme of things, Malaysians are well poised to take advantage of new advances in technology. But, there is more to gaining an edge. Countries that offer the best of Internet infrastructure and technology would be among the leading pack of innovative states. Smart applications, smart cities and the continued pursuance of various collaborative applications require that we constantly change our mental model when it comes to technology, innovation and new forms of employment. Since the law does not deal with the root causes of crimes, prevention should come from inculcation of ethics and education. THE tragedy that befell one of the tahfiz recently was heart-wrenching. It was equally tragic that the suspected perpetrators are all juveniles. Whatever the results of the ongoing police investigations, the incident has certainly left us brooding over what has happened to the quality of ethics among our young generation and over what should be the urgent solution. Ethical problems among youths are often underestimated. It is only when an ethical problem rears its ugly head and transforms into a criminal problem that we realise these are serious concerns. When the crimes committed are fatal, the immediate response by many is to impose severe punishment on those convicted to ensure that justice is served, and as a deterrent to any potential criminals in future. Despite its important role, the law has some discrepancies, especially in solving ethical problems. First, the law deals more with limitations and consequently, the punishment meted out for the guilty. Hence, the law does not deal with the root of the problem. A person who is bad will always look at the law as his enemy and will always find ways to escape from it, particularly when there are loopholes in its implementation. Secondly, the law does not cater for the reward of human action. A person who goes against any law will face punishment, but one who abides by the law is not given any explicit reward for doing so. Simply meting out severe punishments to offenders will not necessarily lead to the inculcation of good ethical conduct. Thirdly, compared to ethics, the law is external to a person. It will always be seen as an extraneous imposition and limitation on someone’s conduct and behaviour rather than coming from within and with his own will. It is important to find solutions that will not only complement the law, but also tackle the root of the problem. The more proactive and long-term strategy is through ethical means and education. Ethics and education, compared to law, are more internal in ap­­proach – moulding human beha­viour through inculcating good virtues. In the Islamic tradition, the word used to denote ethics is akhlaq (derived from the word khalaqa, “to create”). The emphasis on the internal dimension of human beings is based on the fact that man is created with dual natures – the soul and body – and that the betterment of the former will ensure the betterment of the latter. Ethics is also about the habituation of someone’s behaviour towards doing good actions based on one’s understanding about the principles of good and bad. It is about developing the second nature within oneself. This is done through continuous suppression of the elements of vice within and outside the human being. And since akhlaq is an attempt to inculcate good virtues towards being part of human nature, it cannot be accomplished within a short period of time. Rather, it needs to be developed gradually within someone’s self through self-discipline. This is where serious religious and ethical education plays a tremendous role. The education system should explicitly make producing ethical human beings its highest aim, rather than only emphasising the cognitive aspect of human development. How ironic it is that an educational system can produce human beings who can memorise and understand good theories, yet fail to translate them into ethical action. Far from denying the importance of fulfilling the pragmatic objectives of the nation’s development, education must first and foremost aim to strengthen the ethical and religious objectives that will contribute extensively to the internal development of the human being. In the current world full of extre­mism, the notion of balance is highly important. Ethics implies the stable and balanced condition of the soul which will lead to good behaviour. In order to do that, the main elements of the human internal self must be properly balanced. Great Muslim scholars such as al-Ghazali, Ibn Miskawayh and al-Razi explained that a balanced soul which produced good virtues in human behaviour resulted from a just and proper treatment of three important elements of the human self – namely the faculty of reason, anger and desire (shahwah). When reason is treated properly, it will manifest the virtue of wisdom: the mind can put information in its proper place and knows the limits of truth. This will later lead to good actions based on proper wisdom. When anger is justly positioned, it will lead to the virtue of courage: anger will only be manifested when it is really needed. Hence, people of courage do not resort to brutal and aggressive actions but a more sober and patient response. Industry 4.0: What does it behold for commodities? The term ‘Industry 4.0’ has become a global buzzword since its introduction by the Germans in 2011. There are so many definitions and big words thrown around, it can be difficult for the layman to understand what it is all about. In my simple words, Industry 4.0 or the Fourth Industrial Revolution, is about having machines that are able to send, receive and act on instructions that are connected to computing systems in-situ and through communications networks that enable them to interact with other machines and humans to produce goods and deliver services efficiently. In other words, Industry 4.0 is about greater mechanisation. I may oversimplify things but I am no fan of over complicating matters! Today, at the infancy of the Fourth Industrial Revolution or Industry 4.0, digital technology has permeated into many physical systems. This includes deployment of sensing, computing and communicating systems in management of energy grids, transportation, manufacturing and water, or even our everyday household devices – cars, refrigerators, entertainment systems and air-conditioning (read IoT or Internet of Things). Even more astonishing is the embedding of such systems in the human body to restore sensory, cognitive and motor functions in people disabled by injury or neurological conditions. Sounds like a scene from Star Trek or Minority Report? Yes, it is but this time it is for real. Is it relevant for commodities? You may ask how can it apply to the plantation industries and commodities such as palm oil, rubber, timber, cocoa or pepper. Plenty, I would say, if you dare to imagine. Take oil palm, for instance. It is entirely imaginable that with sensors linked to computing systems though communications networks, we can track productivity by palm, rather than by plot or estate. We should be able to know the stress level of each palm caused by prolonged dry or wet weather and interventions that are required such as irrigation, fertilisation and pesticide application. This has a direct impact on fresh fruit bunch (FFB) yield. When it comes to harvesting and evacuation, it would be ideal to have an integrated machine that can precisely identify FFBs that are perfectly ripe, cut them from the palms, collect entire bunches without loose fruits dropping on the ground and deliver them directly to the mill, autonomously. Oil yields will improve dramatically through the combination of perfectly ripe FFBs that are also not bruised through unnecessary multiple handling and minimal loose fruit loss. In fact, you can visualise estate management being conducted from a control centre with much less direct human involvement. With growing demand for traceability, Industry 4.0 applications may be able to help a consumer determine the origins of the palm oil contained in a product, using radio-frequency identification or visual codes, to know if the ingredient is sustainably produced. It requires even less imagination to see the application of Industry 4.0 in the milling, refining and oleochemical processes as well as transportation that will improve productivity, safety and quality. Similarly, Industry 4.0 can help to alleviate productivity challenges both in the upstream and downstream of the rubber industry. Our on-going trial of the Automated Rubber Tapping System (ARTS) is already an indication that timed tapping, latex collection and bulking, and use of stimulant can be mechanised while collection and data crunching of gram per tree per tapping (GTT) can help to determine the intervention required to increase yield. On the other hand, demand for foreign labour can be moderated with great automation in rubber glove production lines, as one of our industry-leading manufacturers, Hartalega, has demonstrated with its current workers per million pieces input of 2.6 at its Next Generation Centre (NGC) in Sepang compared to several folds more in its other facilities, which are being upgraded. There is so much more productivity enhancement that can be achieved with greater IOT deployment. Not entirely. The embedding of sensing, computing and communicating systems in vehicles, drones and other machinery is entirely achievable today. Global Positioning System and mobile networks along with data transmission and big data analytics have become commonplace. Granted, the deployment of such machineries and systems for annual crops planted on plains are far easier than executing the same for perennial crops planted on more undulating terrains such as oil palm and rubber. With proper focus, collaboration and allocation of resources, nothing is impossible. The truth of the matter is that challenges that we face today are already forcing our hands. The lack of labour has resulted in a loss of FFB and oil extraction yields. Yield potential has reached a plateau while we work on new clones via genomics research that can steepen the curve again. Coupled with limited land for new planting and the necessity to maintain our forest cover in line our Paris Climate Conference pledge, our only option is to raise productivity. To begin with, we are in great need for humbler mechanised devices for harvesting, loose fruit collection and evacuation. Both brownfield and greenfield inventions are being considered through platforms such as the International Competition on Palm Mechani­sa­tion. These will act as the bridge to the Industry 4.0 future. IT DOES not feel good when a business makes it clear that it is unwilling to serve you. It is worse when it turns you away because of who you are, and not because, say, your attire is inappropriate or you are misbehaving. You can change clothes to follow a dress code. You can apologise and promise not to make trouble anymore. But how do you respond to a house rule that says you need to go elsewhere because of your race or religion? This is about the launderette in Muar that recently began accepting Muslim customers only. People have been sharing photos of two signboards at the place stating that policy. One of the signboards explains that this is for kesucian, which translates into cleanliness in the religious context. The launderette owner reportedly said 95% of the customers were Muslims. He added that from an Islamic perspective, cleanliness was very important and was something that Muslims must strive for at all times. But is this a valid reason to reject non-Muslims? Unfortunately, there is no consensus. For example, Johor Mufti Datuk Mohd Tahrir Samsudin was quoted as saying he welcomed the owner’s decision because some Muslims had doubts over cleanliness when using launderettes. On the other hand, his counterpart in Perlis, Datuk Dr Mohd Asri Zainal Abidin, worries that the launderette’s Muslims-only policy will lead to similarly restrictive ideas, such as the notion that banknotes that have been handled by non-Muslims are unclean. The launderette owner said non-Muslims could go to other such outlets nearby. A lot of people, including Johor Mentri Besar Datuk Seri Mohamed Khaled Nordin, have pointed out that businesses should be allowed to choose their customers. But there are just as many who have spoken out against any business practice of rejecting customers based on race or religion. The debate is not about the law and free enterprise; it is about being able to feel comfortable in our own skin, and maintaining the sensitivity and understanding that ensures harmony among us. Sure, non-Muslims can go to other launderettes, but it does not change the fact that this particular one in Muar does not welcome them, and for reasons that are open to debate. There is nothing pleasant about discrimination, no matter how benign the rationale. In multiracial and multi-religious Malaysia, there are countless factors that can be used to set apart one group from another, but we all know that the less we focus on these distinctions, the stronger we are as a nation. Getting the best of both academic worlds. HAVE you ever seen a poster of the Powerpuff Girls wearing the tudung (Islamic headscarf)? I have. And I thought it was quite creative. It was my first day entering the hallowed halls of the International Islamic University Malaysia (IIUM) matriculation campus in Petaling Jaya. Posters of the famous cartoon characters were plastered around campus with the caption, “Don’t forget to cover your aurah” (the physical parts of the body that one should not expose according to Islamic teachings). A friend of mine approvingly nodded at the posters, telling me that they created a light-hearted yet vital aura – a reminder of our religious obligations. Another friend, however, appeared slightly perturbed by the posters, muttering something about the conservative and patriarchal message it sent. Then, how about this: have you ever received a family planning device (ahem…condom) during your university’s orientation week? It was during the “Fresher’s Week” at the University of Oxford (where I did my master’s degree). In fact, a few such family planning devices were smilingly handed to me by seniors as I walked along the sacred halls of Oxford’s Examination Schools, the venue for clubs and societies to recruit new members at the start of the academic year. (Oh, I gave the hand-outs away). A fellow freshie appeared to disapprove of these hand-outs, saying it was “an unwanted imposition of liberal ideology on the masses”. Another gleefully laughed it off, saying he was glad that Oxonions could keep themselves safe and prevent the spread of unwanted diseases. Welcome, dear almost young adults, to university life. Studying at both these higher institutions of learning – IIUM which started in 1983, and ye olde 1096 Oxford University – certainly enhanced, and at times challenged, my various worldviews at different junctures in my life. Walking along the corridors of IIUM, it was common for fellow students to greet you with Assalamualaikum (Peace be Upon You) and to address you as “Brother” or “Sister” – both Muslims and non-Muslims. I had never experienced this before during my schooling years. It always put a smile on my face. It was a beautiful culture and gesture. Oxford, on the other hand, exuded an alluring academic calm although the city was always buzzing with events. Libraries were everywhere – more than 100 around the city. Academic activities were diverse and robust, with (almost) no topic too sensitive to discuss. People were friendly, but the culture seemed a bit more independent and impersonal compared to IIUM. Oxford had wonderful traditions such as college dining, punting along the river Cherwell and (the occasionally tedious) wearing of the sub fusc (a formal academic gown) for examinations. IIUM didn’t have such formal traditions but there were lots of activities we undergrads looked forward to. An eye-opener annual event was the Ummatic Week celebrating the diversity and cultures of Muslims from over 125 countries worldwide. No doubt, studying at IIUM and Oxford presented its own unique set of challenges. Often times, one would be thrown into the paradoxical “clash” of cultures and environment, much like the reminders of chastity with the Power Puff tudung or the reverse with the prophylactic family planning door-gifts. There were varying notions of gender roles within a community, state and religion, as well as coming face-to-face with strange new bed-fellows in the hostel dormitory who would turn out to be your life-long buddies. I recall my Kelantanese friends viewing me with bemusement because of my English-speaking leanings. Never, too, had I met so many Kelantanese in my life prior to that and in our bantering, we uncovered commonalities and respected differences. So what did I learn from my alma maters in this journey from school student to undergrad to post-grad? Here are some shared thoughts for incoming freshies. 1. Stay Fresh – This is the formal foundation for the real world outside and beyond. Observe and learn. Do not see differences as a bad thing. Find out more, understand where the views are coming from and if you disagree, be kind in your disagreement. At the very least, the differences enrich your worldview. 2. Love Knowledge – The input from your varsity environment, formal and informal, in and out of your lecture rooms, both good and bad, is the first thirst quencher in the hunger for knowledge. And we all know, knowledge is power! 3. Choose your “Battles” – From centric to the eccentric, there will be ups and downs. And it’s not the downs, the problems, as much as “how” you handle the situation. In both IIUM and Oxford, my realisation was that one is assessed (yes, even judged) for and by what one does or doesn’t. Hence, a pre-emptive thought-out response, not an initial gut reaction, is worth considering. It somewhat determines your maturity and reputation. The grass isn’t always greener on the other side. A local university can provide a comparable experience. It’s about learning and truly seeing and churning these into a vision we see ourselves fitting into. School heads can now delegate caning to teachers. BANGI: Teachers are allowed to cane students but only if the school head gives the go-ahead. Education Minister Datuk Seri Mahdzir Khalid said school heads are allowed to delegate caning to a teacher if the need arises. “However, caning cannot be done in public and must be done according to stipulated procedures,” he said after officiating the closing ceremony for the national level Excellent Cluster Schools Convention 2017. He was commenting on a Malay daily’s report on Wednesday that the Education Ministry was studying whether to let teachers use the cane. According to the daily, Mahdzir said the move, if adopted, would help curb social ills in schools. He said some quarters were against caning, but whether counselling alone was effective in dealing with disciplinary problems is questionable. The ministry, he said, would update and make its existing guidelines more holistic. Based on a 2003 circular, Mahdzir clarified that school heads, at their discretion, can appoint other teachers to cane students. However, he added, the strict caning guidelines must be followed. These include no public caning, girls cannot be caned and only a light strike on either the hand or covered buttocks. The caning must also be documented, according to the circular. National Union of the Teaching Profession (NUTP) secretary-general Harry Tan said allowing teachers to cane students reduces disciplinary issues, misdemeanour and criminal offences. Melaka Action Group for Parents in Education (Magpie) chairman Mak Chee Kin, however, doesn’t think caning is necessary if the teachers and school heads are good. He said a weak teacher would have a harder time controlling the class and handling students. Sabah’s First Ever Cordobana Quran Intensive Course, a proven effective and interactive method to teach and to learn how to read the Quran easily in a very short duration of time (3 days) is now available at SIDMA College, Kota Kinabalu. The special technique was shared by Ustaz Mohammad Raqib Rashid, Ustaz Azam Aris and Ustaz Kadar Ramdani from Akademi Cordoba Sdn Bhd. during a unique programme held at the college recently. It was fun, very interactive and unique as it enables the participants to recall Arabic alphabets from scratch. From very reliable sources, all participants who attended the full 3-day programme were able to recite the Quran independently. This SIDMA College collaboration course was conducted on 22-24 September 2017 at SIDMA College Lecture Hall. A total of 16 participants registered and participated fully in the event which was held from 8.30 am – 4.30 pm. Madam Azlina Ngatimin, Director, Corporate Marketing and Business Development, SIDMA College officiated the closing and certificate presentation ceremony held on 24 September 2017. During the simple ceremony, she congratulated the participants for the active participation and she hoped that they had benefited from the course. He also thanked the facilitators for their valuable time and effort to ensure the success of the training. Madam Azlina also announced that the next course will be held in November 2017. Interested parties are advised to contact Madam Noradilah Mohammadia (H/P: 019-801 5334) or contact SIDMA College at 088- 732 000 or 088-732 020 for enquires and early registration to avoid disappointment. Registration fee for the above course is RM 750.00 per head, inclusive a copy of the Al-Quran, course notes, breakfast, lunch and tea-break. Certificate of Attendance will be issued to those who have completed the full three days programme. Dr Morni Hj Kambrie (Founder and Chairman SIDMA College) who is also the initiator of the programme to be conducted in Sabah for the first time, also informed that four (4) similar courses have been conducted in Sarawak earlier, and past participants acknowledged that they had benefited from it especially in learning and improving their Quran recitation, which proved that the course to be very successful. Meanwhile Dr Morni welcomes generous donation from the general public to assist the successful running of the programme as well as to donate Quran to be given to those in needs. Interested parties who wish to sponsor the course can contact directly to Dr Morni (H/P: 013-810 6201) for further details. You are currently browsing the www.Teo-Education.Com blog archives for September, 2017.